I wrote my first blog post exactly two years ago today. When I first started blogging I hate to say it, but I knew very little about blogs and social media, I just thought it would be a fun creative outlet to have. I would have never guessed the amount of readers and followers that my blog would acquire over two short years. I would like to thank everyone for reading my blog, your sincere comments, for following me on various social media, and your continued support. I would also like to thank the many companies and bloggers I have been able to collaborate and form relationships with. 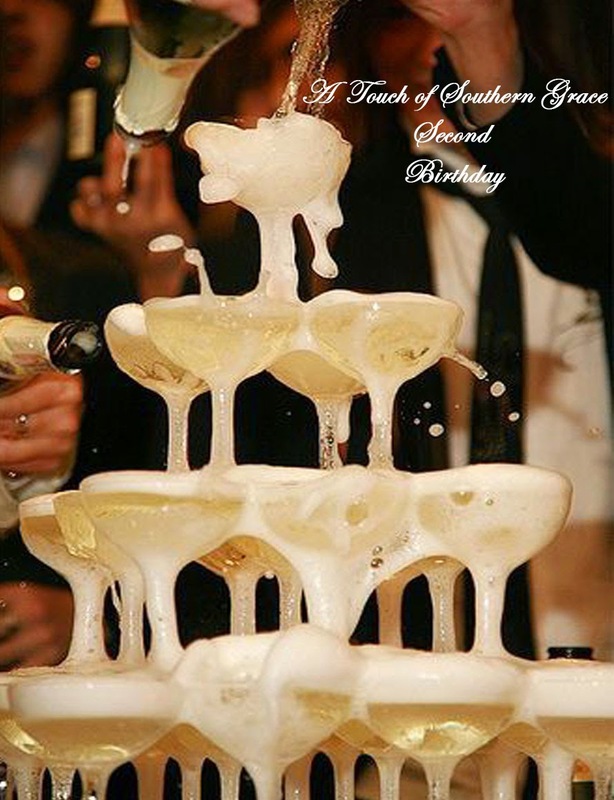 I have many exciting things planned this coming year for A Touch of Southern Grace I think you all will enjoy! As always I would love to hear any feedback or suggestion. I hope everyone is having a very Merry and Bright Christmas Eve! Hope you and your family are having a wonderful Christmas season! Congrats on two years Lauren, I'm such a fan and can't wait to see what you have in store for us in 2015! Thank you so much Alex, that means so much to me!